Here I am, as promised with another finished project. I bought this pattern on Etsy but you can also buy it from the designer’s website itself here. I had originally bought it to turn it into a dress but eventually I decided to keep it as a tunic. Funnily enough, I haven’t really had a chance to wear it anywhere yet! I absolutely adore the front design. It was slightly difficult to understand how to do the front pleats but eventually I figured it out; however, I’m not entirely happy with the result because it’s not folded exactly like in the pattern and I do still need to steam block those pleats. If you’ve looked at the original pattern photos in the link above, I changed it slightly by making the sleeves longer. I used a DK wool so this will only be practical to wear during winter and since it’s quite a casual looking sweater, I would definitely use it as an everyday item of clothing, which means long sleeves are the way to go in winter. 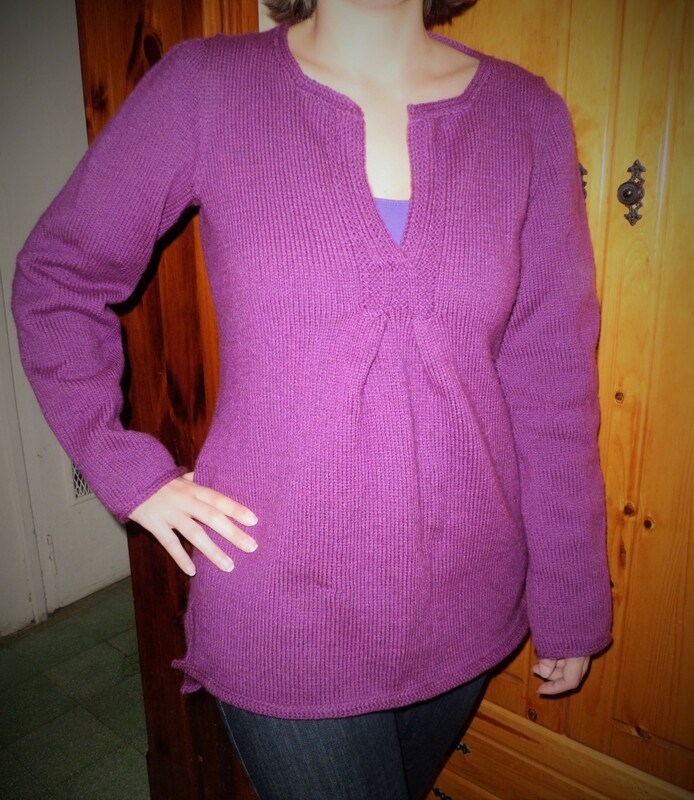 If you have any ideas and/or opinions about this tunic sweater, let me know in the comments below or on the Facebook page. Next Want to learn how to knit?